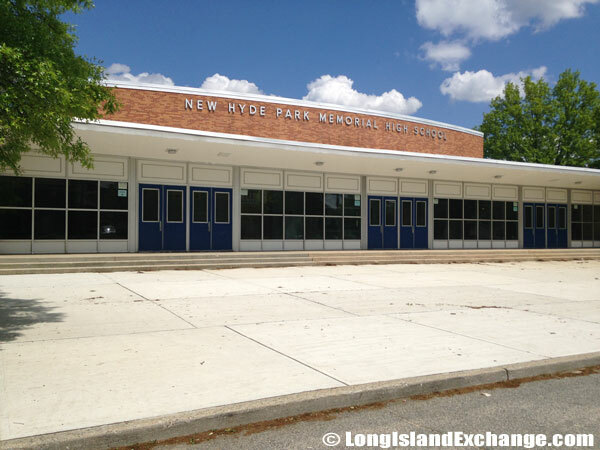 New Hyde Park is a village located in Nassau County, Long Island, New York. 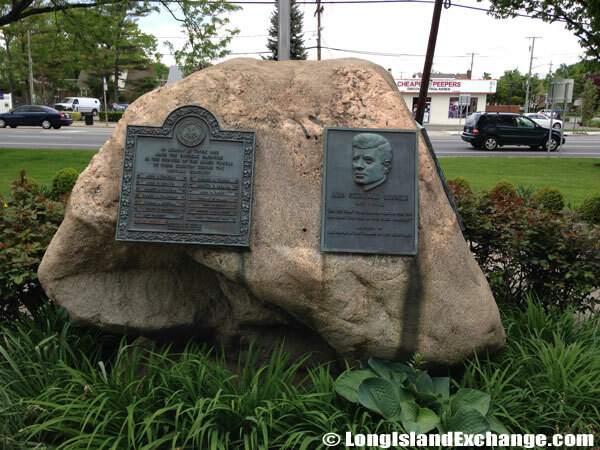 It is within both the Town of Hempstead and the Town of North Hempstead. 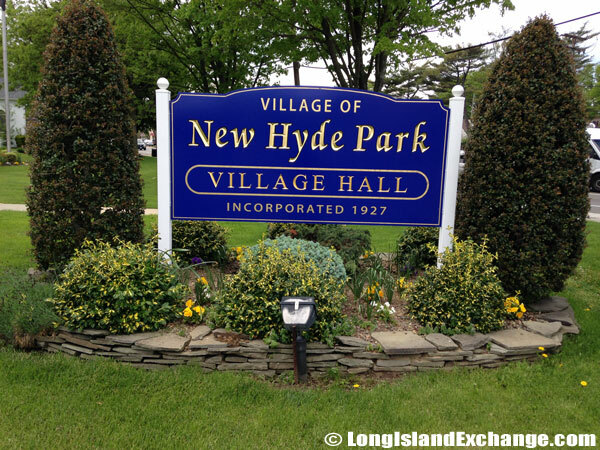 New Hyde Park is bordered by Floral Park on the west, Garden City on the east, Stewart Manor to the south, and North New Hyde Park to the north. It has a mayor-council form of government with a Mayor and four trustees, known collectively as the Board of Trustees. 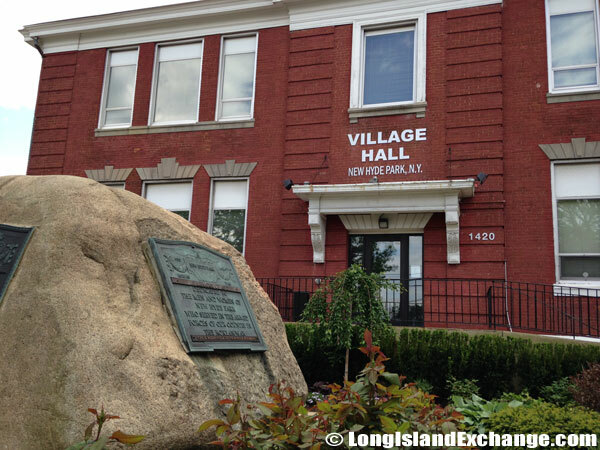 A beautiful landscaped area encompasses a sign welcoming visitors and residents of the area to the Village Hall for New Hyde Park Long Island, Incorporated in 1927. Denton Avenue Elementary School, Herricks Union Free School District. 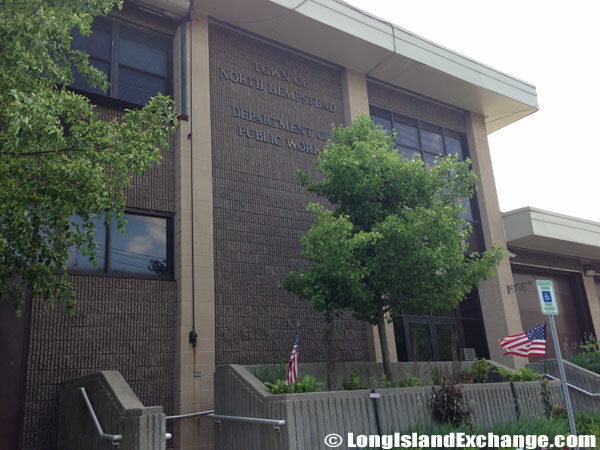 The Town of North Hempstead Department of Public Works, Stewart Ave New Hyde Park. 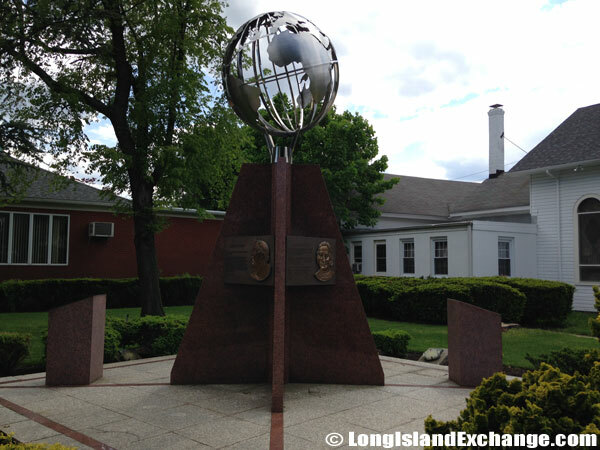 A globe monument with commemorative plaques below. As of the 2010 census, there were 9,712 people, 3,271 households, and 2,544 families residing in the area. The median income for a household in the village was $86,875, and the median income for a family was $86,875. The latitude of New Hyde Park is 40.735N. The longitude is -73.688W. It is in the Eastern Standard time zone. Elevation is 105 feet. 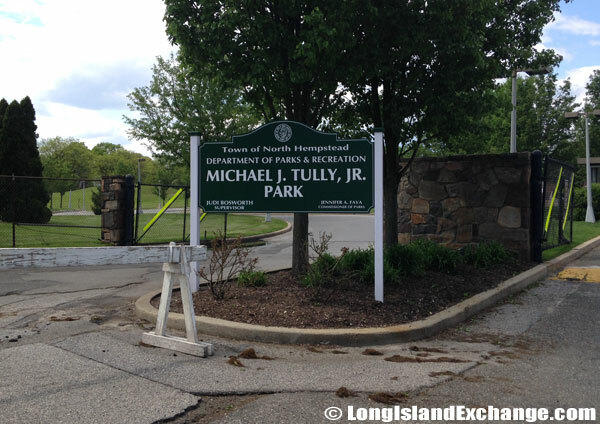 Michael J. Tully Park, 1801 Evergreen Avenue, New Hyde Park. 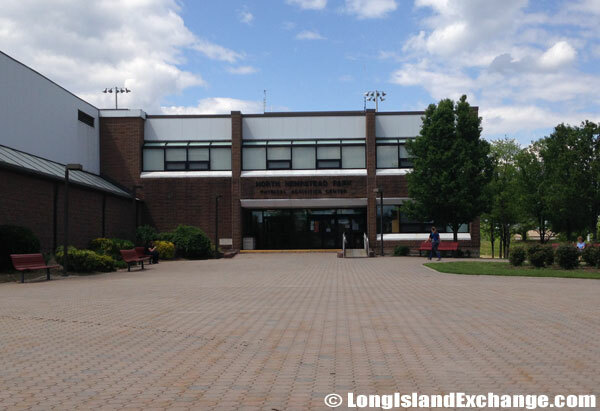 North Hempstead Park Administration building. 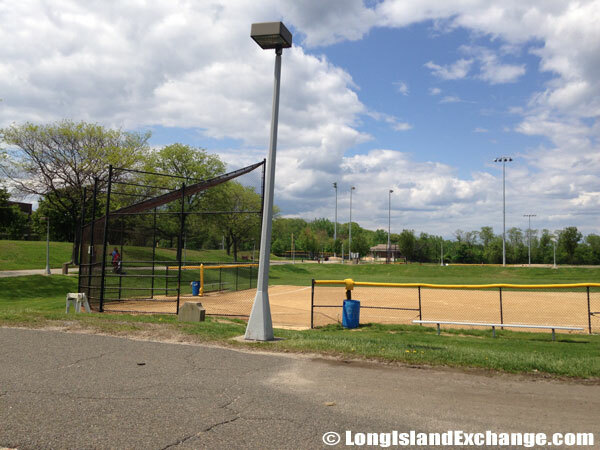 North Hempstead Park Baseball field. The Dutch and English first settled in the area in 1624. 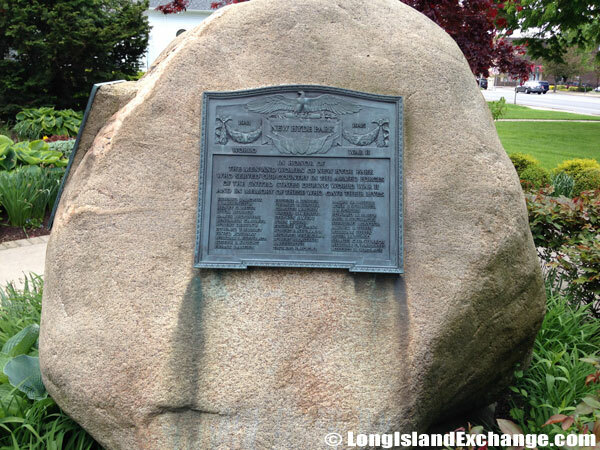 It was formerly called Hyde Park which is one of the oldest and most historic settlements in the United States. The community was named after Anne Hyde, wife of Lt. Gov. George Clark. New Hyde Park became an incorporated village in 1927. Incorporation of the Village brought to the newly elected officials and the people, all the advantages of home rule together with the realization that wisdom is needed to successfully administer sanitation disposal, highway construction, zoning, and the drafting of ordinances to control the activities within the confines of the Village. Commemorative plaques to John F Kennedy and the Village outside the Village Hall. 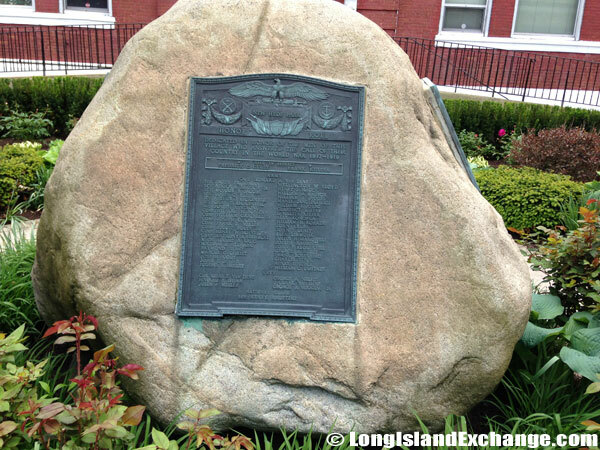 Commemorative plaque in honor to those from New Hyde Park who have served. 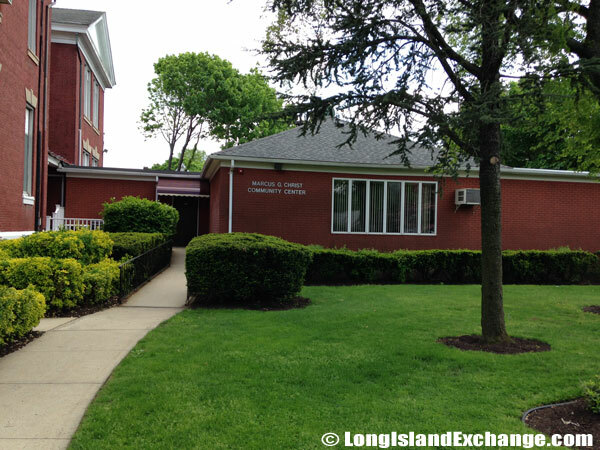 The New Hyde Park Village Hall building at 1420 Jericho Turnpike. During the late 1930s, the village experienced rapid period of growth in terms of their economy when many large landowners sold parts of their estates to developers who then built several homes on the properties and about 450 acres of farmland were cut into real estate developments. 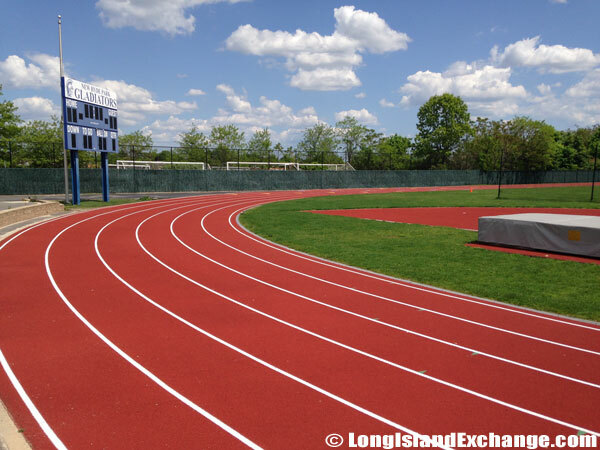 New Hyde Park Track, home of the Gladiators. 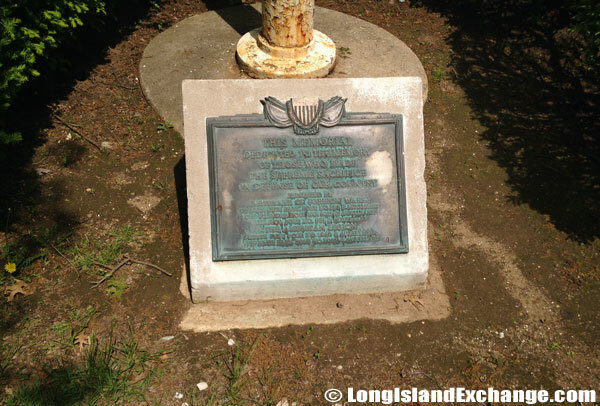 A memorial plaque in honor of a Flagpole which stands above. 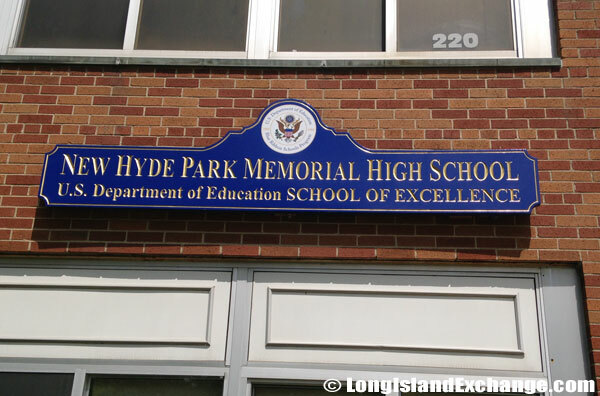 New Hyde Park Memorial High School, a U.S. Department of Education School of Excellence. About 29% of New Hyde Park residents report Italian ancestry and 17% report Irish. Notable residents include Al Oerter (Olympic discus throw 4-time gold medalist). The village is primarily a commuter town with over 75% of the land used for single family residential but also has warehouses and light manufacturing near the railroad station and a retail district along Jericho Turnpike. Education in New Hyde Park has become an extraordinary with several school districts serving the area. 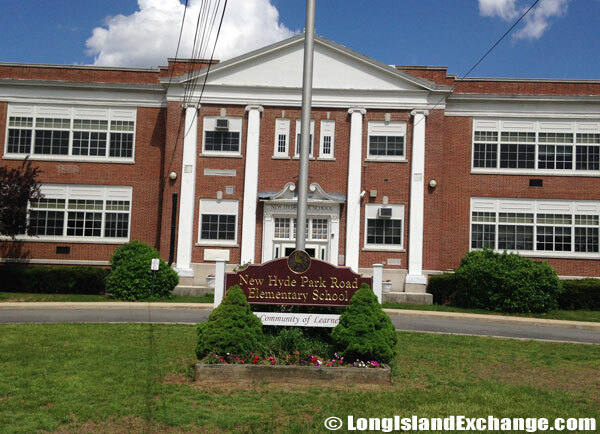 It includes New Hyde Park-Garden City Park School District, Sewanhaka Central High School District, Elmont School District, and Herricks Union Free School District. New Hyde Park Memorial High School. New Hyde Park Road Elementary School. 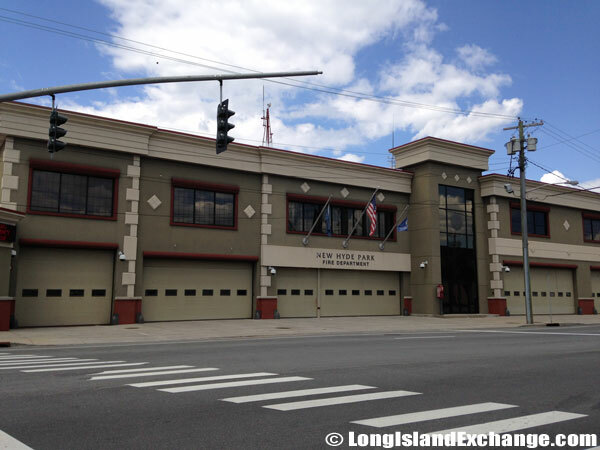 The New Hyde Park Fire Department. Several recreational parks and commercial landmarks are within the area such as Memorial and Nuzzi Fields and New Hyde Park Inn. The hotel offers comfortable hotel accommodation and a great place to hold parties or events. 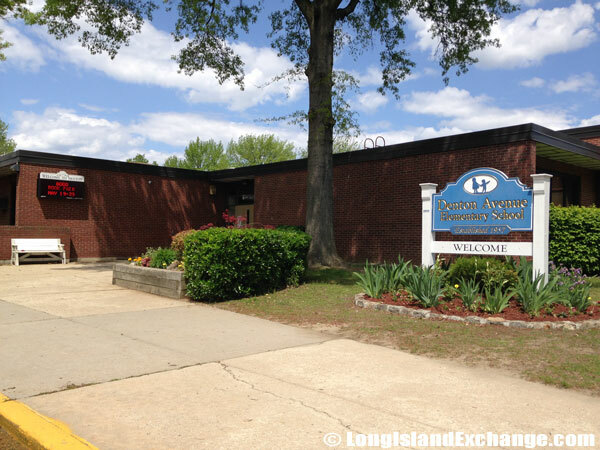 The New Hyde Park Public Library located in the lower level of Village Hall is permanently closed. All residents are encouraged to visit the new libraries and utilize the new and expanded facilities. The local Chamber of Commerce has been a significant factor in maintaining what has become a healthy business economy in the New Hyde Park area.